The oregano herb has been used for thousands of years not only to cook with, but as an all-natural medicinal healer. It has been found to work wonders for those with GI and urinary tract disorders, and its anti-inflammatory properties is effective in helping those suffering from osteoporosis, common cold, bloating, muscle pain, allergies and common ear and toothaches. 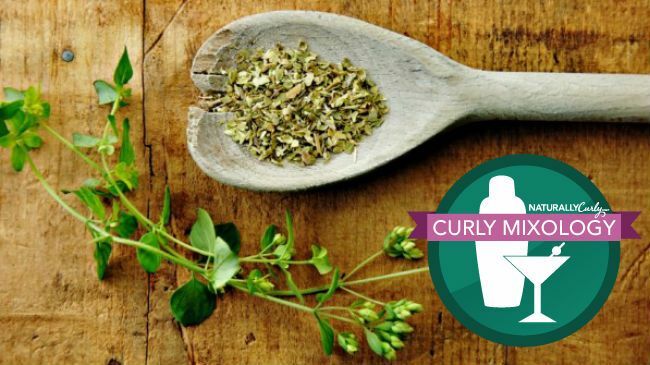 Oregano's antibacterial properties also help in ridding of fungus from the scalp and nail bed areas. It works wonders on dandruff and nail fungus. Mix 1/2 cup of Epsom salt and 1/4 cup of borax in a basin with tepid water. Soak hands or feet for 20-30 minutes. Dry off with towel. Rub oregano oil into the infected nail and onto every cuticle. The oil should be applied three times per day until you notice the fungus going away. Keep your feet dry and allow them to breathe by wearing sandals or open toed shoes. If you instead, suffer from skin infections or irritated gums, dry skin, you can mix olive oil or coconut oil with 1-2 drops of oregano oil and apply to your infected/itchy area. Mix 2-3 drops of oregano oil with any other hair oil of your choice and rub into your scalp, delicately. Add a few drops of almond, coconut or olive oil. Leave on your scalp for 45 minutes and use a clarifying shampoo to completely rinse it out. You may also add 2-3 drops of oregano oil to your shampoo and apply it to your hair in the shower. Let it stay on your hair for 3-4 minutes then rinse. Repeat one more time then condition if desired. Mix 1-2 tablespoons of dried oregano with one tablespoon vanilla extract and one cup of water. Warm the mixture for 45 seconds on low heat or microwave for 30 seconds then allow to cool. Pour the mixtures into a container or spray bottle and keep it in the fridge. Use the mixture on your hair after your shower and comb it through evenly. The mixture can be stored for up to one week.